Are you searching for the best compression and archive tool? If yes, then you are going to get a world-class application, equipped with a wide range of features, to cater to your needs for file handling. WinRAR is a famed Compression and archive tool. This tool almost supports all formats of files and allows you to compress in any format. Download WinRAR For Windows from the direct links given at the bottom. Download WinRAR from the given download link, and install it on your Windows computer, to handle the files in the best way possible. WinRAR allows you to work with RAR, ZIP, TAR, GZ, BZ2, XZ, 7z, ISO, or ARJ formats of the files, and see the contents of the files thereby. Extracts documents, create an archive of the documents, compress documents to lowers their size and send them in a single file easily. We already have given you the download link, install the WinRAR software, the top-notch in file handling and archiving. You might get the same features in a dozen other archiving tools, but the interface, the tool is equipped with, cannot be obtained in any other place. Just install it on your Windows computer, and choose your files which you want to compress. With the right click, go with the compress with WinRAR and that is it. You will simply get an archive file and can send that easily, without any hiccup. Along with extracting and compressing the files, you are entertained with dozens of options. Like, one can simply generate an Archive password protected, delete the old files after archiving them, get your desired archive formats from RAR, RARS, and zip. The dozens of the features add the cherry on the cake along with compressing and archiving the files in the desired formats. 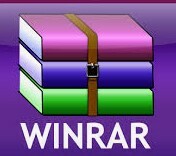 WinRAR offers a graphic interactive interface, menus and commands lines. It is easier to get many another archive of a special Wizard mode. The Wizard mode is easier to access to the basic archiving functions. The archive offers you the benefits of industrial strength; it supports files and archives of 8,589 billion gigabytes in size. WinRAR is the best compression, file manager, and file handling tool. You can get the dozens of the features while compressing the files into the desired format. You can update the same files, delete the files after compression, it allows you to compression of the multi-volume archive, which is split into numerous other files. WinRAR puts you ahead of the crowd when it comes to compression and encryption. It is very fast compared to other compression and encryption tools support all popular compressions formats (RAR, ZIP, CAB, ARJ, LZH, ACE, TAR, GZip, UUE, ISO, BZIP2, Z, and 7-Zip). WinRAR supports all multi-media files; it automatically detects the best compression method. It allows you to split archives into separate volumes, save your disk space. One can get the archive free 40 days, and after that one has to get this from the RARLAB. Download WinRAR for Windows from the given download link, and get your data compressed within a few minutes.